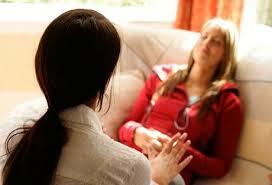 How Hypnotherapy can help you? Hypnotherapist Genovieve Feasey from Wycombe can help you by: promoting deep relaxation, create positive changes around self-belief or eliminate negative behaviours, relieves stress and stress related conditions, lessens tension, anxiety and depression, promotes pain relief – pain management like going to dentist or childbirth. Enhances self-confidence and re-builds self-esteem, you want to speak in public? Or Fear taking Exams? Want to Change and have more Choices, because you’re reading this, it means you’re are already in a place deep within YOUR MIND , that DESIRES, change, and choice and you want to be back in control of that RIGHT? Has depression ever got hold of you? We can all be prone to this when life gets too much for us. When did you last feel Depressed, it is known as a physiological response to certain conditions: namely hopelessness and helplessness, you may personally recognise it by sleep disruption (insomnia), no energy or feeling lethargic , moody and isolated or want to isolate yourself from others! When Depression hits you understand it’s your response to the feeling of being endangered which is basically an anxiety issue/disorder. You’ll want to be alone, procrastinate and never accomplish task or goals, feeling very disconnected from people and life. 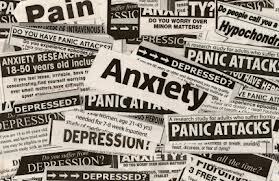 Most depression or anxiety can be treated Hypnotherapy can help you or solution focused counselling. Using tools like TimeLine, Regression or Imagery along with NLP are very powerful processes which challenge your thinking and thoughts, putting you in control of what you may be subconsciously, unknowingly wanting, desiring or able to re/create. Abnormal patterns of eating have become extremely common in the Western Society, especially, being diagnosed more in the media with younger people. It can however go undetected by family, peer or socially and hence the condition is left ‘freely’ to do its deed affecting the ‘victim’ and causing untold disruption and illness. The two principal disorders are known as Anorexia Nervosa and Bulimia Nervosa. So Eating Disorders or your Relationship with Food, how goes it? Eating Disorders can be treated medically, along with nutritional and psychosocial needs being looked at the same time. Medications are helpful but the effectiveness is limited because the psychology of a person must first be addressed. How Hypnotherapy can help you by sending messages which are delivered to the subconscious mind which is more receptive to these suggestions then the conscious mind. This approach brings reflection to impose change in a person, in turn helping them to address the problem at times in a better way. Using Hypnoanalysis and Imagery along with some advanced Counselling, the client can begin to shift their thinking and behaviours adapting their relationships /food. So if you’re still curious and wondering if How Hypnotherapy can help you? Call or click here to me contact page leave me a personal message of how I may help you. I’m Genovieve , offering a ‘Free’ 1 to1 consultation, you’ll Find Me in High Wycombe Buckinghamshire or also in Rochester Kent it’s a relaxed, confidential space where you can allow yourself the freedom to think out aloud and share your feelings about your difficulties ok!